After the LP and Pic LP were sold out so fast, I put the CD out with the help of my friends from "Iron Shield Records". 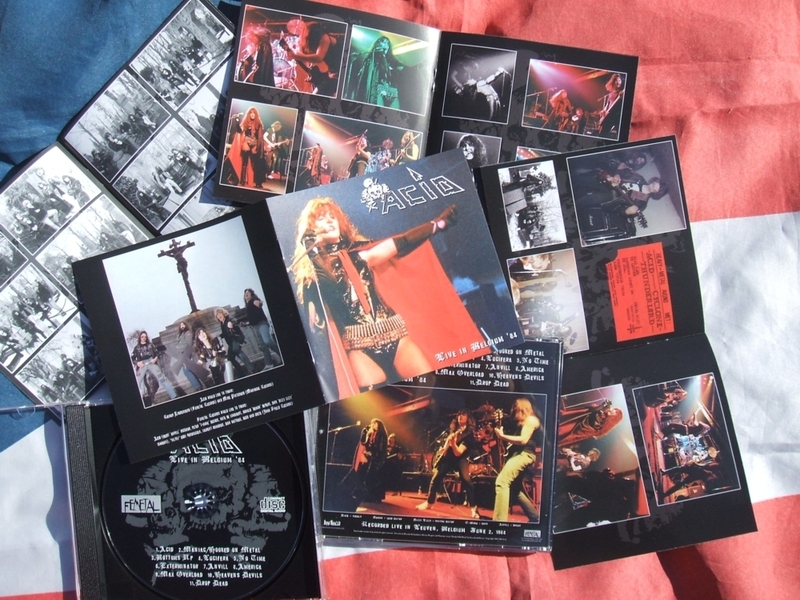 I received the CD just 2 days before KEEP IT TRUE XIII festival in April 2010.This was unforgettable, as singer Kate, drummer Anvill and guitar player T-Bone themselves appeared at the festival to promote the CD and Kate entered the stage, first time after 25 years, to sing "Max Overload"!! I guess this was historic!! I attach some pictures from this festival. This CD contains now 2 songs more than the LP version, as they did not fit on the LP and we did not have the money to do a double LP or LP + EP release. There is still the song "Black car" missing from this show, ....but this one has a big cut in the middle of the song, ...as the recording tape had to be turned in the middle of recording! I did not want to include a song with such a big cut on the CD. The special "Die hard" edition of this CD is a hand numbered 150 copies issue. It contains a big poster and 3 stickers. 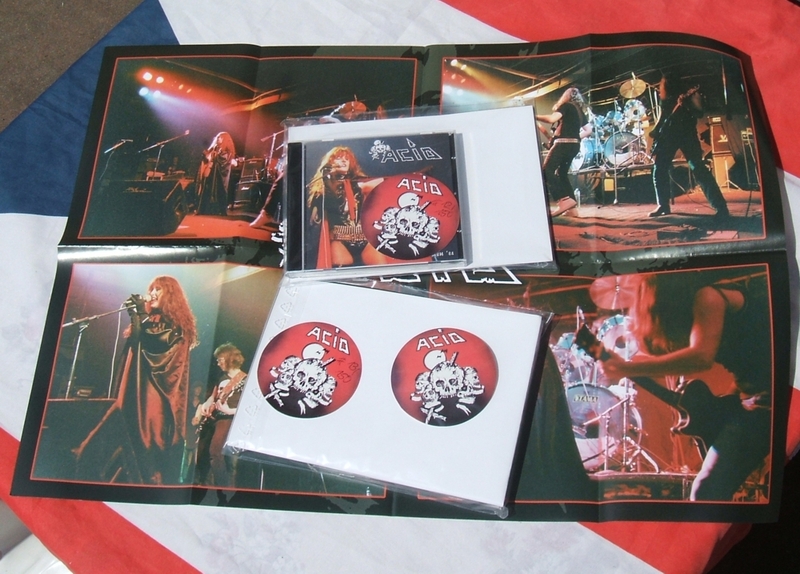 2 stickers are numbered, one on the CD and one as seal on the outer bag, and the third sticker is unnumbered and free for further use.